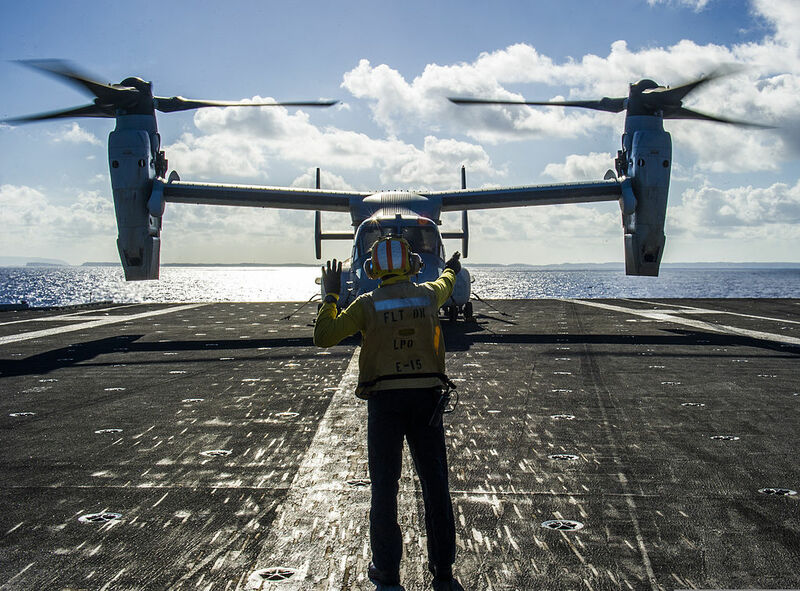 Naval Air Systems Command awarded the Bell-Boeing Joint Project Office $151 million to begin engineering the Navy variant of the V-22 Osprey, which the service will use as a carrier onboard delivery plane. The funding, adding onto an existing contract with Bell-Boeing, covers non-recurring engineering costs to add extended range, high frequency beyond line-of-sight radio and a public address system to the baseline MV-22 used by the Marine Corps. 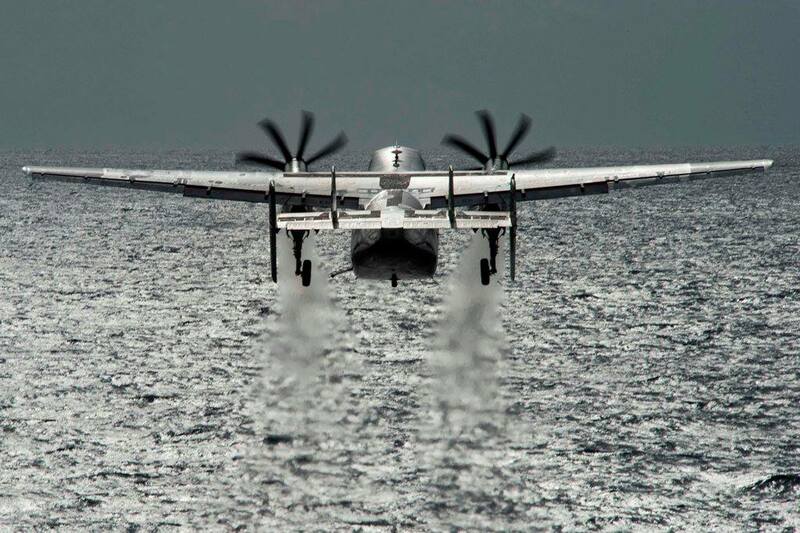 The Navy announced in February that its variant would be called the CMV-22B, a designation that combines the cargo-carrying nature of the Air Force’s CV-22 and the multimission and special forces-capable nature of the Marines’ MV-22. This Fiscal Year 2016 funding is the beginning of a relatively quick development effort – the Navy intends to begin buying its new COD planes in FY 2018, with the first planes delivering in FY 2020. The service intends to buy 44 total. Navy Secretary Ray Mabus said at a recent Senate Armed Services Committee hearing that the COD replacement procurement would pick up just as Marine MV-22 procurement was drawing down, allowing the Navy to fold its procurement into an existing multiyear procurement contract for the Osprey. The Marines did not request any Ospreys in the FY 2017 budget but did ask for two aircraft in the Unfunded Priorities List to help make up for aircraft cut in 2015 due to the Bipartisan Budget Agreement that capped military spending. The CMV-22B will replace the Northrop Grumman C-2A Greyhound turboprop plane, which the Navy first bought in 1965 and then bought a second replacement batch in 1984. The Greyhound is stationed on land, not on the aircraft carrier as part of the air wing, and shuttles people, mail and cargo between land bases and the aircraft carrier. Helicopters can then bring the goods to other ships in the carrier strike group if needed. The Osprey may be able to conduct the mission more efficiently since it can not only land ashore and on aircraft carriers but also on Military Sealift Command supply ships, destroyers, amphibious ships and more. The Navy has not publicly discussed if and how the CMV-22B would operate on other ships in the fleet, but its mission – “to provide the Joint Force Maritime Component Commander with time-critical, long-range aerial logistics support by transporting personnel, mail and priority cargo from advance bases to the sea base” – could imply operations beyond just the hub-and-spoke model the Greyhound required.